Lahore : Ameer, Jamaat e Islami, Pakistan, Senator Sirajul Haq said that the resignation of the Federal Information Minister was a point to ponder over deeply and indicated that there were some highly irresponsible people in the government due to whom even sensitive national issues were at stake. Commenting on the resignation of the Federal Minister Pervaiz Rashid , the JI chief said that the government should go ahead for a thorough self-criticism. 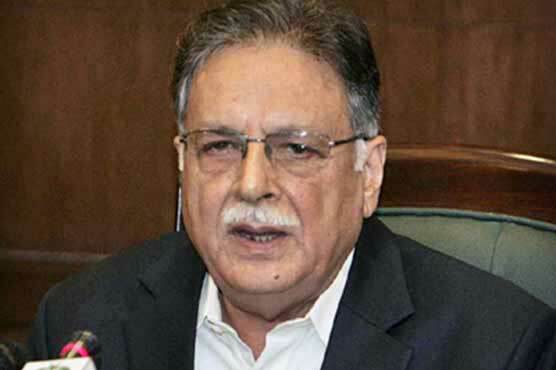 He said that the mere removal of Pervaiz Rashid was no punishment for such serious charges and there should be action against him under the law in this regard. “This indicates that some times, some people would to any extent to fulfill enemy designs”, he remarked. He said that those named in the Panama leaks and corruption were eating the country’s resources like white ants and it was time to drive them out of power. He expressed the hope that the government would take the nation into confidence on the news leak issue and ensure action under the law. Meanwhile, the JI chief has expressed deep over the killing of five people in firing at a Majlis in Karachi Saturday evening. He said that the enemy wanted to plunge the country into sectarian strife. He called upon the Sindh government to trace the culprits and hand them down deterrent punishment. He also expressed deep sympathies with the families of those killed.